Crete is one of those places that has a lot to offer. As Greece’s largest island, there are wealth of experiences you can have. 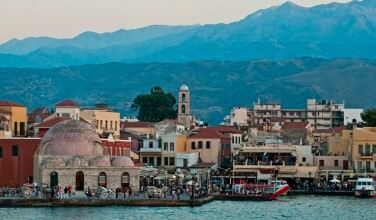 In fact, on any given day you could decide to spend your time in a quiet mountain village, sit on a relaxing beach, or take in the bustling city life in a place like Chania or Heraklion. 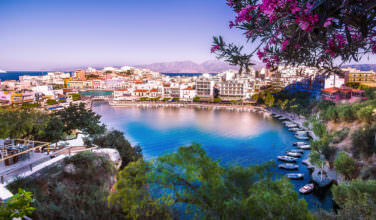 But for those who want to spend their days lounging in a relaxing seaside resort, Hersonissos is the place to be! Hersonissos is a town on the northernmost coast of Crete. It’s known for its languid atmosphere, thriving traditional life, and ancient past. 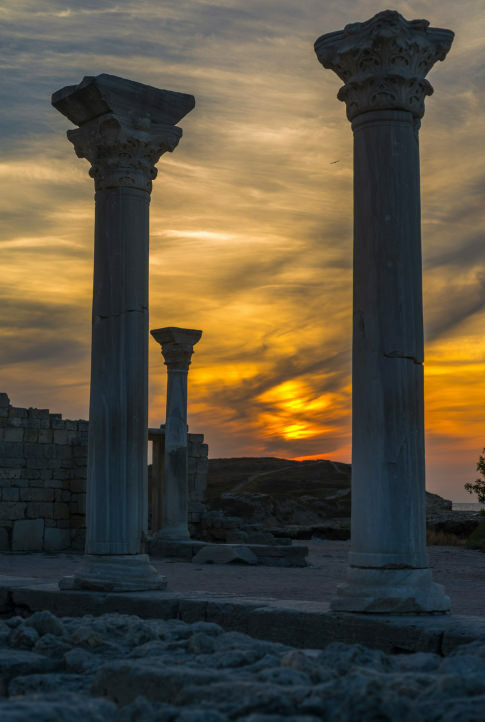 The ancient town of Chersonesos is located inside the resort town’s current borders. Though much has changed between then and now, one thing has remained the same – the Mediterranean sun and the opportunity people staying in Hersonissos have to enjoy it. In order to get to Hersonissos you can take an airplane or a ferry. The closest airport and port are both in Heraklion, which is an easy thirty-minute drive from Hersonissos. Once you arrive, you can rent a car, take a bus, or take a taxi. If you want the greatest amount of freedom, you may want to consider renting a car. In order to rent a car in Greece, you may need to get an international driver’s license. Before you leave for your trip. Check with the rental car company to see if one of these licenses is truly needed. One thing that sets this resort town apart from others is the distinct families feel that it has. Like most Greek tourist areas, there is some nightlife. However, that’s not what dominates this resort community. Families flock here year after year to give their kids a chance to enjoy the Greek sun and beaches without the hectic feel of the resort communities that are known for their nightlife. Aside from spending time playing at the beach, there are plenty of things for families to do such as explore the ancient ruins and visit a local aquarium, the (Aqua World Aquarium), which gives kids a hands on approach to learning about the local sea life. 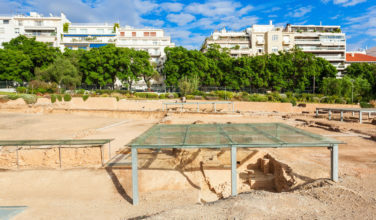 Another thing you can do while visiting this part of Crete is visit area museums, which is an activity that is great for adults and kids alike. For example, the Lychnostatis Open Air Museum is a great tribute to the early people of the island, including information about their lifestyles and their trade history. Also, the museum has an herbarium and workshops on making olive oil and ceramics. After you spend the day sightseeing and enjoying the area beaches, it’s time to enjoy a bit of the real culture on Crete by enjoying a traditional meal. The food on this island is fresh and rich with local flavor, and the restaurants found in Hersonissos live up to this reputation. Finish your delicious meal with a taste of traditional raki and your day will be complete!